If you’ve ever wondered what it feels like to dive into the deep, dark depths of the sea, or even what deep-sea divers experience in uncharted waters, then Narcosis gives you the chance to experience that, and the horrors that come with it. Narcosis is an underwater psychological horror game developed and published by Honor Code Inc. You’ll unravel a mystery deep down in the Pacific Ocean while trying to survive in this uninhabitable environment. The story is narrated via live interview over the radio as you, one of a group of deep-sea divers, is trapped in a half ton suit while exploring the depths. You’ll come across the dead bodies of your crew while you explore the workstations in order to make your way to the escape pod. You learn how they met their end through little scenes that play out when you come into contact with their bodies. The tools at your disposal throughout this underwater nightmare are backward and forward thrusters, a knife and flares. 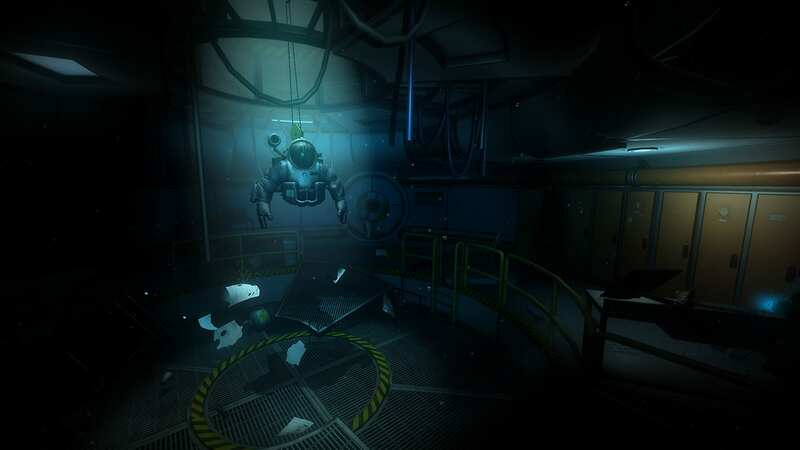 The thrusters of your diving suit help you leap between platforms and avoid falling to your doom in deep crevices. Your objective? Make your way to the only escape pod available while maintaining the oxygen levels of your diving suit, and fighting sea creatures such as squids and flesh-eating fish with your knife. You swipe at the squid or fish with your knife, and if it’s not timed correctly both the fish and squid attach themselves to you and seem to sap your blood. Your attacks are slow, sluggish even, but this is to be expected under water. Among those sea creatures are also spider crabs which you cannot fight and must avoid. You have to either preoccupy them with the flares at your disposal then sneak past, or hide out of sight until they pass by. One wrong move and their hardened legs crack your face-shield, causing you to drown. The flares also serve to help light your way through the dark passes of the ocean floor. The game’s developers did a good job making the game realistic. You have to constantly refuel your oxygen tank by replacing it when you come across other oxygen tanks, or via refueling devices as your progress through the game. Any extra movement such as using the thrusters too often results in depleting your oxygen faster and suffocating yourself, much as it would happen in real life. Your oxygen also depletes rapidly as you start breathing heavier and quicker when you come into contact with your dead crew members, which you need to do in order to identify them. This plays into the theme of realism as any average person would freak out at the sight of a dead body, which would in turn cause their breathing to quicken and use more oxygen. Now imagine that happening if you were alone, with no noise but the creepy sounds of the ocean and its creatures to accompany you. Aside from your own breathing and the spine chilling noises the creatures of the sea make, everything is dead silent. This element of the game makes you feel as though you really are the deep-sea diver in the game with every breath he takes. There were some aspects, however, that could have been better. 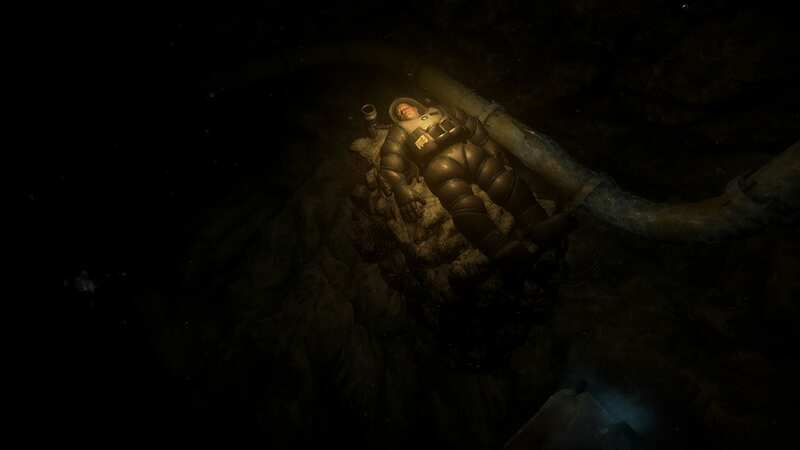 Although the story was incredible and the developers did their part in incorporating realism, they could have done a few things differently in Narcosis. For one, they could have added more sea animals or creatures. Not necessarily enemies you need to fend off, but just more aquatic animals in general. The ocean is home to thousands, if not millions of species of animals, and while sea life dwindles further down in the sea, there should have been more variety for the sake of the game. Another tweak I think the developers should have done was amp up the sound effects when coming into contact with the dead crew members. In other words, I think developers should have increased the sound when something sudden would occur in the game. The only exception for making the game so quiet is if the developer wanted to keep the game as realistic as possible, which seems to be the case for Narcosis. For example, there is one instance in the game when you’re walking towards the dead body of a crew member and his face suddenly fills your screen, but it’s quiet and not scary. The face of the dead crew member should have filled your screen with a high pitch sound or sudden boost in the sound, as it might happen in movies. 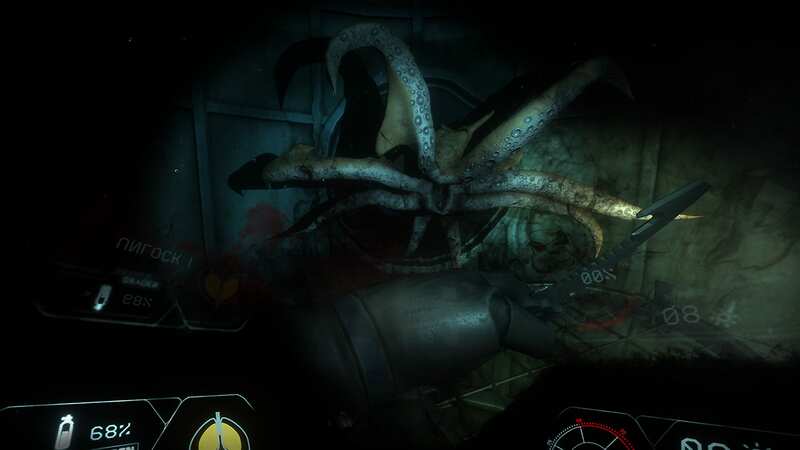 I know Narcosis is supposed to be a psychological horror game, but if developers had increased the sound during instances such as that, it would have been a little scarier. Overall I liked the game. 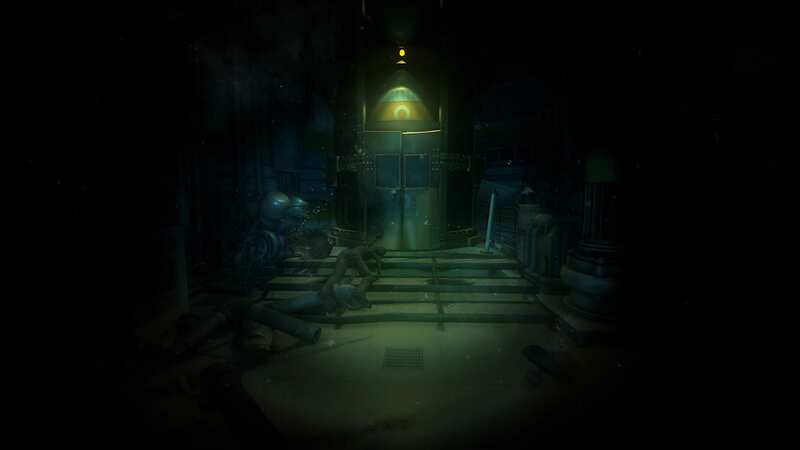 The game does well to help players experience what it’s like to explore the ocean as deep-sea divers would. Most importantly, Narcosis keeps you absorbed throughout the game and makes you want to stick with it until the end. 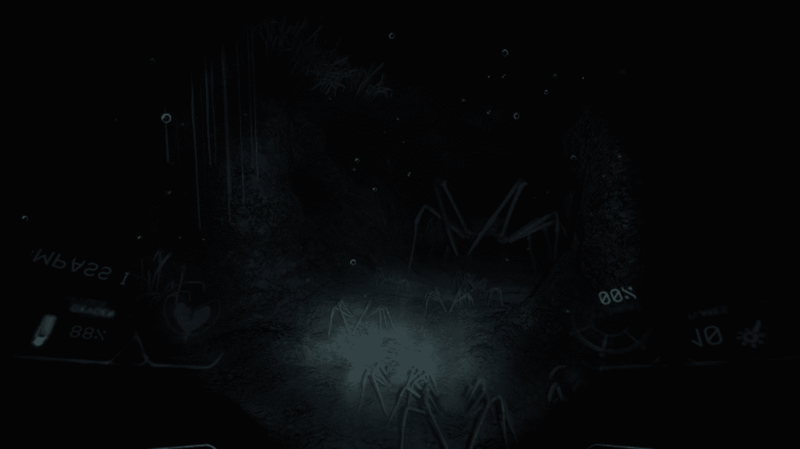 Sai reviewed Narcosis on Steam with a code provided by the developer.